Flowmaster Exhaust System - dBX Series - Lightning Motorsports - Selling Speed since 1996 ! This dBX Cat-back exhaust system delivers enhanced horsepower, torque and fuel mileage by utilizing patented dBX Laminar Flow technology and optimum pipe diameters. 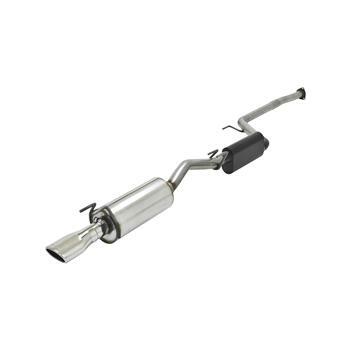 Manufactured in the USA from T409 stainless steel, this exhaust provides a deep performance tone and bolts directly on behind the factory cat with a 2.25 in. mandrel bent pipe, and continues through the dBX muffler to finish with a 3.50 in. polished stainless tip.